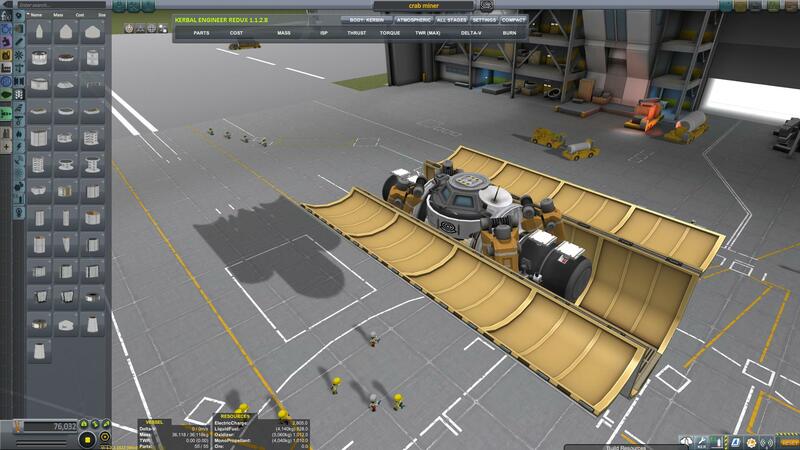 Designed to fit inside a mk3 cargo bay this is a complete mining operation. 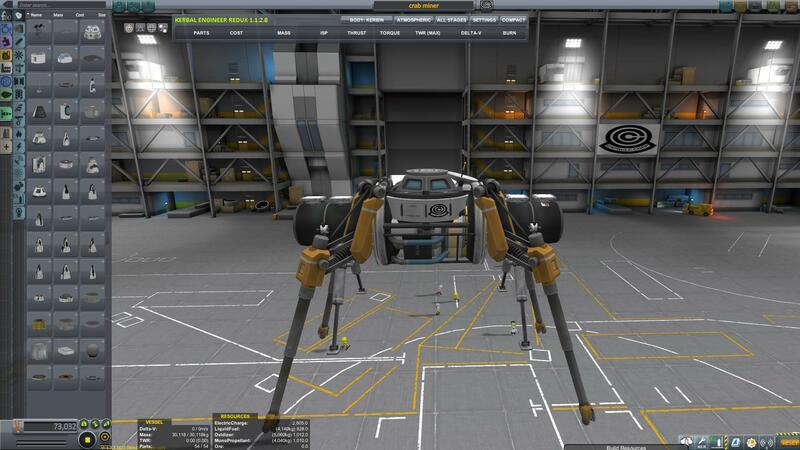 It has 4 drills, 2 xl solar panels, 2 l fuel cells and a large isru, it also has monoprop and lfo as well as ore. It can support 2 kerbals because i needed an entrance and the airlock was all I had. It also has radiators and relay satellites. Also it kindof looks like a crab. A mod aircraft called crab miner. Built with 54 of the finest parts, its root part is ISRU.